We work with all major banks and offer credit union lending. We specialize in challenged credit and will gladly work with you directly to secure special financing to help accommodate any credit scores and history. Credit Union Members, Costco Members, AAA Members & Military are all welcome! We are also a CUDL Credit Union Direct Lending Dealer. 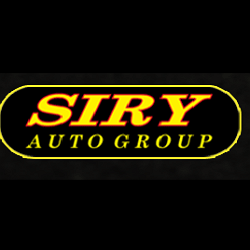 Open seven days a week, Siry Auto Group is proudly serving San Diego County, including Chula Vista, Clairemont Mesa, El Cajon, and Oceanside. Brands: All makes and models including BMW, Toyota, Nissan, Mercedes-Benz, Volkswagen, Ford, and Chevrolet. Welcome to Mercedes-Benz of San Jose. Whether you are visiting to gather information, search for a vehicle in the San Jose area or contact our Service department.